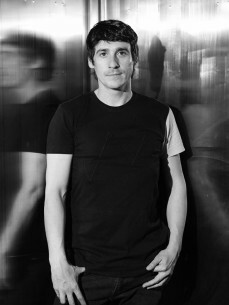 Alfonso Arés's relationship with electronic music began 15 years ago when he began working in the Madrid club scene. His experience with the scene, combined with his innovative attitude, has made him a well-rounded artist. He began as a DJ in smaller disco venues and well-known clubs around Spain. He quickly advanced to festivals and big productions, like Sensation and Goa, which allowed him to make the leap to the international scene. Alfonso has a profound love of music and a deep passion for the history of electronic music. These can be seen in his sessions that began with house music and progressed into tech and deep. This artist is committed to each one of his sets focusing on the rhythm and above all, the quality. As a producer he has continuously polished his sound. His work has already been recognized for his style which shares roots with the New York based "Nite Grooves", the Italian "Lapsus Music" and the Holland based "Playmobil." He is also like other sound specialists such as "Regular", "Klopfgeist", or "Highway Recordings". Thanks to his skills, and a large knowledge base of the different styles, he has demonstrated his versatility in the studio.